An experience most of us are familiar with: You’ve just bought something new, whether it be a car, a backpack, a sports jersey with a particular player’s number, or even a new brand of reading glasses, and though you found it independently and thought it was fairly unique at the time, now you’re seeing it everywhere. Has everyone else decided to buy this thing at the same time as you? Hive mind? Have you prompted a rash of popularity? No, of course not. It’s simply that now that you’ve taken particular notice of this item, your mind is primed for it. Had you bought a different car make or a different jersey number, that’s the item you’d be noticing all over the place. The item hasn’t become more prevalent; you’ve simply become more predisposed to notice it. In a study called “Disgust, creatureliness and the accessibility of death-related thoughts,” by Cathy R. Cox, Jamie L. Goldenberg, Tom Pyszczynski, and David Weise, experimenters found that people primed with disgusting pictures were more likely to draw upon death-related thoughts than participants primed by neutral pictures. For example, those first shown images of a bloody finger and a dirty toilet were more likely to finish the words SK_ _ _ and COFF_ _ as SKULL and COFFIN than those shown images of a book and a chair, who were more likely to finish them as SKILL and COFFEE. In other words, disgusting images prompt thoughts of death, which causes people to more readily fill in the blanks with death-related ideas. You don’t write with your keyboard. You don’t write with your pen or your hands. You don’t write with your typewriter, your chisel, your audio transcriber, your fancy new app, gadget, or journal. Most people find this strange since, for instance, the field goal kicker for the St. Louis Rams kicks primarily with his leg. But not the storyteller. “Writing” is one of those rare more-than-actions for our more-than-physical world. See this is the problem with most journalism about fiction writers. Journalists try so hard in interviews to get the story behind the story, to “see through” fiction rather than using fiction as a tool through which to see. They insult those of us who have spent years fantasizing and imagining and crafting another world from scratch. As Terry Pratchett would say, Fiction is a minor province in the world of Fantasy, not the other way around. Even the most Woolf-esque, heady literary fiction is fantasizing and, if it’s not, it’s little more than memoir. That’s not to slight memoir. That’s simply saying we fiction writers do something that nonfiction writers do not do. We craft tales from scratch. Recently at a writers’ enclave in Massachusetts, I considered leading a session in which I confiscated the phones, computers, typewriters, pens, and paper of every attendee. We would then take a simple writing prompt for a fairy tale or mythology and would write it together. Aloud. Without any recording device to bear witness. Then we’d retell the story, start to finish, patching it together. Then we’d elect a delegate—the best of us—to tell our community’s tale from start to finish. 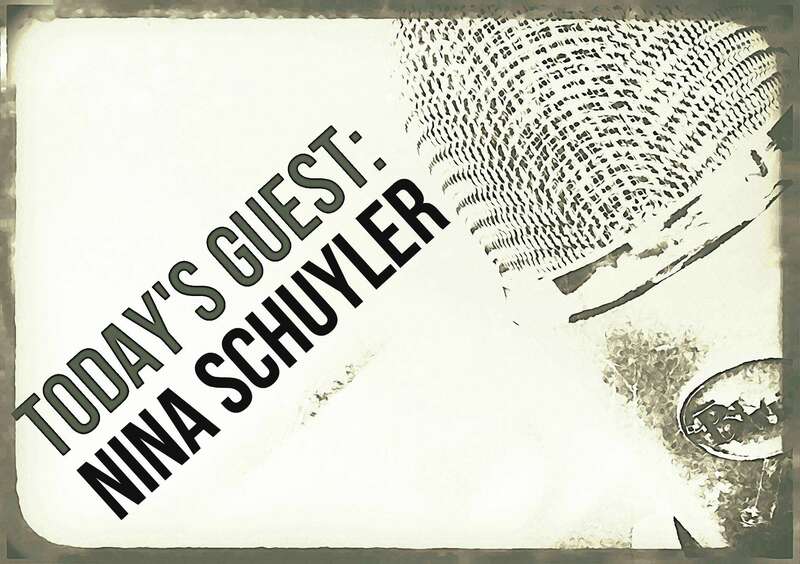 Please welcome Nina Schuyler to Writer Unboxed. Nina is the author of The Translator, which won the 2014 Next Generation Indie Book Award for General Fiction and was shortlisted for the William Saroyan International Writing Prize. Her novel The Painting was nominated for a Northern California Book Award and named a Best Book by the San Francisco Chronicle. Nina teaches creative writing at the University of San Francisco. The Translator involved weaving memories into the present story line. I wanted to get underneath the advice—“use memories or the past to advance the story”—and figure out the effective ways to use the past to enhance the story. Connect with Nina on Facebook and on Twitter. Keep the present action going. Don’t include the past at all. Include it, but don’t put it there. Or there. Or there. There’s an abundance of writing advice, regarding the past and the use of memories in fiction. Some of it is contradictory, most of it confusing, because well-regarded writers often use memories to create rich and compelling stories. By including memories, you can heighten tension by raising the stakes, dramatize a character’s change, complicate motivation, and create subtext to guide the reader to the heart of the story. In Joseph O’Neil’s wonderful novel, Netherland, Hans van den Broek’s wife has taken their child and moved back to London, leaving him alone in New York City. Hans discovers a cricket bat in the trunk of a taxi cab, and the driver, seeing Hans’ interest, invites him to play. If the scene ended there, the act of playing cricket might be viewed as a way to distract the narrator from his troubles. But the present action causes Hans to remember his boyhood in Holland, where he lived alone with his mother. As a boy, Hans fell in love with cricket. It provided surrogate fathers, and there, in his memories, he sees his mother on the sidelines, watching him, supporting him. The stakes are raised—what can be gained, what can be lost—by including these memories of his boyhood; the reader understands that Hans is depending on cricket, not only as a distraction, but also to help him through this difficult time.